We have just spent two months working on the River Alde near Aldeburgh in Suffolk repairing the sea defences along the flood embankment for the Environment Agency. 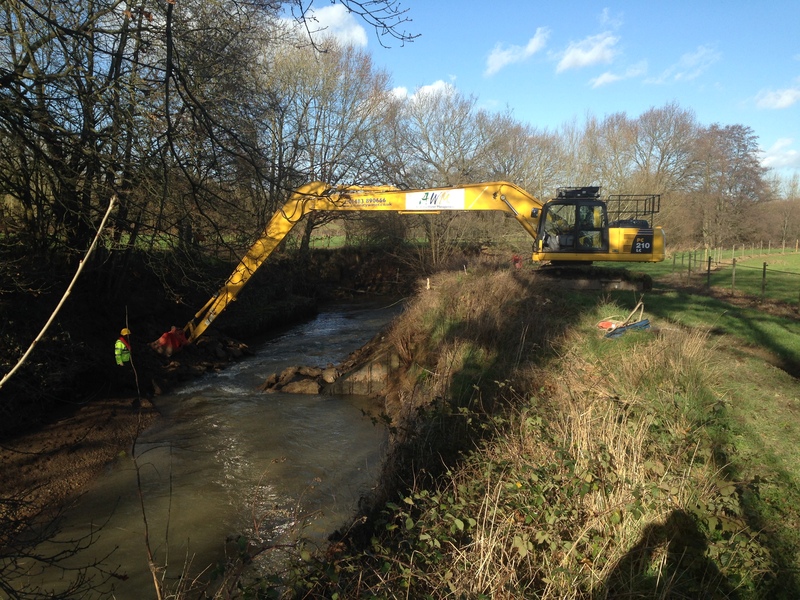 We have just removed Harpers Weir from the River Teise near Goudhurst in Kent for the South East Rivers Trust. The work is part of a larger scale project to improve fishery habitat and fish passage in the catchment. 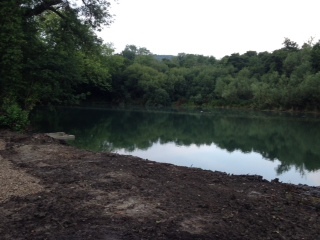 We have completed a lake refurbishment project this summer at Burton Park in West Sussex. Approximately 7500m3 of silt and vegetation were removed and placed in a storage lagoon constructed on adjacent land, this material will be turned to dry it over the next few years and then re-used on the estate. As part of the re-furbishment works the main spillway was repaired and a new monk structure constructed to manage the water level which can be seen in the foreground on the left. In addition a causeway was constructed across the middle of the lake forming a silt trap on the upstream side of it and serving as an established access for future dredging works. We are currently installing a Baffle Fish Pass in the River Wandle at Trewint Street in Earlsfield for the South East Rivers Trust. Temporary dams have been constructed to divert the water while the low cost baffles are installed along with four notched pre-barrages to raise water levels and maintain a flow of water down the fish pass all year round.